In a desperate bid to end the long-running and highly contentious internal European Union battles over migration, France and Germany have proposed EU Member States refusing to host refugees could simply pay their way out of having to do so. The refugee crisis has divided Europe perhaps more than any other issue in history — total opposition to accepting migrants in Poland and Hungary has divorced the pair so far from Berlin there are suggestions either or both could end up exiting the bloc, while Italy is so inundated with seaborne arrivals authorities now refuse to allow rescue ships to dock at its ports. The EU's bright idea for resolving the fractious fiasco, according to a document circulated to EU interior ministers in Brussels, would see governments compelled to accept asylum-seekers from other Member States, but exceptions made if countries pursue "alternative measures of solidarity". Such Orwellian language is said to be code for paying into the EU budget or contributing towards development projects in key sources of refugee inflows, such as countries in Africa. In a sense, such a remedy is hardly new. In 2015, as the bloc attempted to get to grips with the already highly controversial migrant deluge, Brussels representatives offered US$2.3 billion to African governments in return for agreeing to accept deportees. 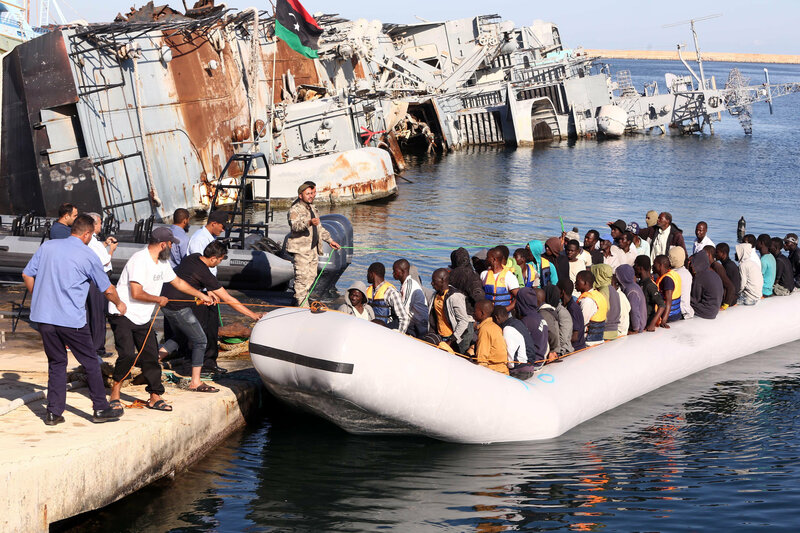 The Libyan coastguard pull a boat carrying illegal African migrants, rescued as they were trying to reach Europe, at a naval base near the capital Tripoli on September 29, 2015. While a two-day summit in Malta of over 60 European and African leaders cemented agreement on the proposal, diplomats reported there was "very little trust" between the two sides, and "tension over the way the EU handled [the issue]". For their part, African government representatives were clear the sum was "just the start", and stressed even if the plan went ahead it would have virtually no appreciable impact on the crisis. Moreover, the continent's assorted leaders were less interested in easing the EU's self-created immigration problems, and instead focused on compelling Member States to open up further legal channels to facilitate the movement of Africans to Europe. "For the Africans, the summit has been a huge opportunity to push their priorities. One of the most important points is to push for legal migration. There's a nod towards that. People end up in the European labour market anyway," Helen Clark, head of the UN Development Programme, observed. Such was the EU's desperation to secure African agreement to the deal, European leaders dropped or diluted many of their original demands — for instance, jettisoning their desire to issue "laissez passer" documents to migrants they wished to deport. Wording in the summit declaration licensing forced deportations was also changed to "voluntary returns". 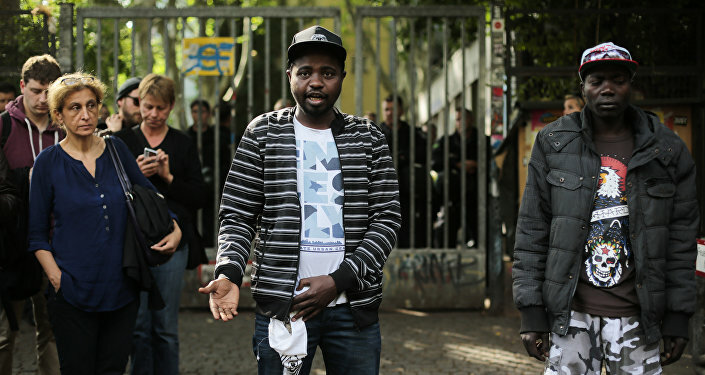 In any event, by the time the conference was convened, the number of African refugees entering Europe had become greatly overshadowed by mass arrivals from the Middle East. The EU's remedy to the development was much the same as the bloc's answer to the African influx — effectively, bribery. Ankara was offered US$3.42 billion to stringently police Turkey's border with Greece, the main point of entry to Europe for hundreds of thousands of individuals fleeing Syria, Iraq and other troubled countries in the region, and take back migrants not in need of "international protection" who entered the EU via Turkish territory. Though much-criticized by rights groups, the deal eventually bore fruit, with arrivals to European soil via Greece drastically reduced. However, just as African leaders were clear Brussels' financial inducement was but an initial stipend, Turkey's payoff is destined to be the first of many. Given the EU's desparation to prevent a rerun of 2015-levels of migration to the continent, no price demanded by Ankara is likely to be considered too high — such a return would surely exacerbate the host of social, economic and political issues the initial wave created. Sweden, which took more refugees proportionately than any other country in Europe, warned within months of opening the floodgates that its immigration system was "on the brink of collapse". Germany was also likewise highly destabilized, with Finance Minister Wolfgang Schäuble likening immigration levels in the country to "an avalanche". "I don't know whether we're at the stage where the avalanche has already reached the valley or whether we're still at the top of the slope. If we're still at the top, we Germans cannot cope with this alone. You can trigger an avalanche when a rather careless skier goes on the slope," he despaired. Perhaps then the EU's ‘latest' plan is merely recognition of the fact if the bloc wishes to stem the tide of migration, it must pay handsomely for the privilege — and needs a vast slush fund to meet its commitments in a hurry. After all, Turkey could threaten to cancel its deal at any time given its ongoing political issues with both Brussels and Berlin, while convincing African leaders to go along with the EU script at all has been and remains extremely problematic. Immigration is clearly an expensive business, and just as human traffickers reap vast sums from ferrying migrants to Europe, so too must ‘migrant blockers' be well-remunerated for their efforts. While hailed as a potential breakthrough, the initiative is a major capitulation by Germany and other key proponents of open European borders, and the latest indication of how wrongheaded the policy was in the first place.